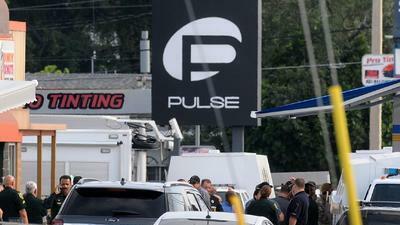 "The site of the Orlando shooting wasn’t just a gay nightclub. It was my safe haven." Daniel Leon-Davis grew up near the scene of the Orlando shooting and says Pulse "was where I learned to love myself as a gay man." I grew up just ten minutes away from Pulse, the gay nightclub in Orlando where a gunman shot and killed more than 50 people early Sunday morning. Before coming out, I actually drove past it often, but I never really understood the role it would eventually play in my life. It wasn’t until one of my last days in high school that my friends and I all decided to go together. Daniel Leon-Davis is the Senior Creative Director at SOZE, and social media director for Russell Simmons.